Prior to freshmen year at Penn State, I have dreamed about the opportunity to participate in a study abroad program. With that in mind, I planned my academic schedule at Penn State to accommodate a semester abroad. It is important to my academic career that I take the opportunity to explore different cities and understand the worlds’ many ways of life. Through my research of the study abroad programs available I became extremely interested in the internship program available while studying abroad in Sydney, Australia. It would very interesting to work at an international marketing firm and gain exposure to the Australian market. The hardest part about the application process was to choose where to go. I do not speak another language which is a barrier to most of the countries in Europe. I chose the Sydney study abroad program because I wanted to go to a country that would allow me to embrace a new culture but have the comfort of living in a city. Living on the East Coast allows to me to travel to Europe more often. I have a passion for travel and to be global minded therefore I think studying abroad in Sydney is the right choice for me. I want to be able to travel to other countries to learn about as many cultures as possible. I plan to take advantage of all the local offerings and respect the countries culture and lifestyle. Living in Australia will allow me to live a more laid-back lifestyle compared to the upbeat and fast-paced lifestyle of New York City. 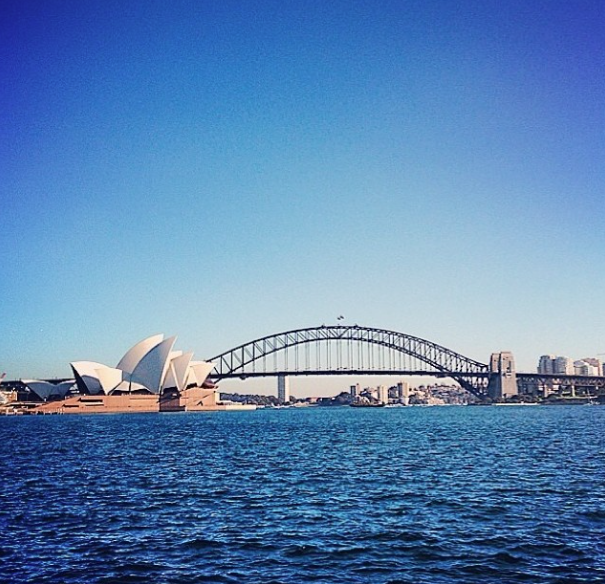 While studying abroad in Sydney, I hope to visit surrounding cities and countries. I have family in Melbourne and I hope I can take a weekend trip to visit them. Melbourne is an artsy city and I hope get a tour from my cousins. On my spring break, I want to visit New Zealand. I want to be ambitious and go bungee jumping or sky diving. It seems daunting at first but it is definitely on my bucket list! I am really excited to go abroad because my sisters are planning on visiting me in mid April! I hope to explore Sydney with them and go scuba diving in the Great Barrier Reef. There is so much unique and beautiful wildlife I want to explore, I cannot wait to travel.